The world cardiovascular ultrasound system market is foretold to take the first flight to maintaining a substantial progress with innovations and collaborations encouraged globally. The American Society of Echocardiography (ASE), for instance, is looking to promote novel methodologies and techniques in the field of cardiovascular ultrasound a.k.a. echocardiography. The launch of its Echovation Challenge 2017 has brought together its members and various scientific communities to drive innovation and foster collaboration in the cardiovascular care domain. The cardiovascular ultrasound system market could see a classification based on four chief categories, viz. test, device display, technology, and end user. Segmentation of the global market allows the interested parties to make informed investment decisions and customize their penetration into the industry. The geographic segmentation offered in the report takes into account the crucial geographies prophesied to create approving prospects of growth. The expert analysts at TMR Research have introduced and comprehensively examined the premium insights of the global cardiovascular ultrasound system market, including the market scope over the forecast period, competitive landscape, and supreme market drivers and opportunities. The cardiovascular ultrasound system market is expected to come forth strong and dominant on a global platform with the upper hand gained by echocardiography over invasive cardiac diagnostic operations. The analysts of the report presented herewith also credit the advancement in technology and rising occurrences of cardiovascular diseases for the escalating growth of the global market. However, the market is foreseen to stunt its growth nominally because of a few factors such as the economic effect of embracing newly discovered technologies and inauspicious reimbursement scenario. Nevertheless, industry players can look to rise above these restraints with opportunities birthed from miniaturization of ultrasound devices. Besides this, they can tap into the unexplored markets of emerging countries to find some favorable opportunities. Although the international cardiovascular ultrasound system market has impacted different regions of the world, such as North America, Europe, and Asia Pacific, there are specific geographies that have promised a considerable growth. Out of them, Europe is anticipated to impress the vendors by providing lucrative opportunities on the back of aggravating product commercialization. More opportunities could spring from the diversification of high intensity focused ultrasound (HIFU) in its clinical applications followed by their preliminary commercialization. The Asia Pacific region is not too far behind in the race. With countries such as New Zealand, China, Japan, India, Australia, and the Rest of Asia Pacific, it is envisaged to make every opportunity count to emerge as a faster growing market. For the forecast period 2017–2025, the Asia Pacific cardiovascular ultrasound system market is predicted to ride on various growth opportunities such as increased medical tourism, surge in innovation and research, and rising healthcare expenditure. The publication compiled for the world cardiovascular ultrasound system market explores some of the key competitors making a statement in the industry. These are Toshiba Medical Systems Corporation (Japan), GE Healthcare (U.S.), Hitachi Medical Corporation (Japan), Philips Healthcare (The Netherlands), and Siemens Healthcare (Germany). 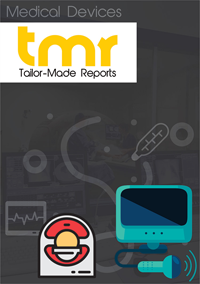 The cardiovascular ultrasound system market report can be customized as per the business requirements of buyers such as manufacturers, research and consulting companies, distributors and wholesalers, OEMs, and CMOs. It can also be tailor-made with additional company profiling and further breakdown of regional markets. Our seasoned research experts have shed light on the strategies adopted by top players in the global market for scaling up their growth. Moreover, the report comes out as a detailed guideline to evaluate the recent developments, products offered, latest financials, and SWOT analysis of the companies listed.